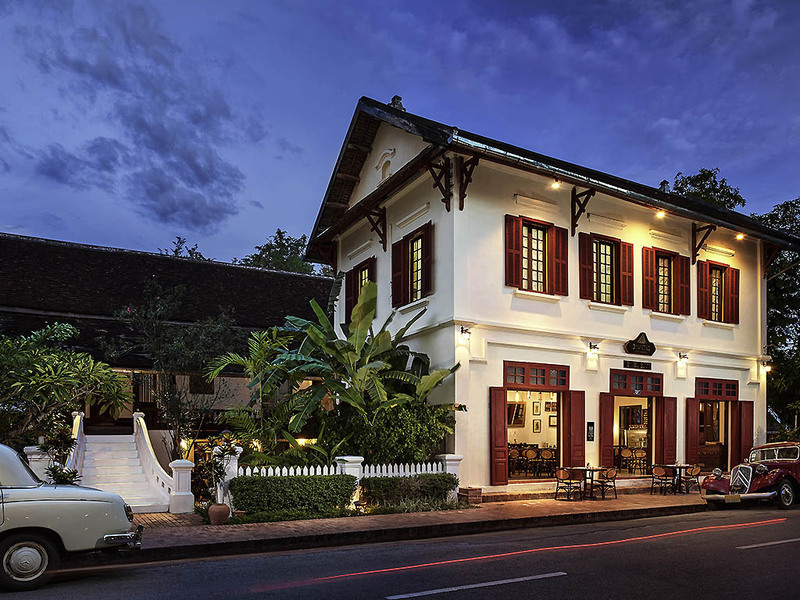 Access to pool, fitness and Le SPA at Sofitel Luang Prabang, located 10 mins away. All day drinks benefit with MyGlass program. Enjoy special privileges for children with MyKids program. Each of our 12 character-filled rooms is unique and beautifully furnished with dark, exotic wood. Enjoy a luxurious night's sleep in Lamache House (former ice cream shop to the royal palace) or Khamboua House (built for the king's counsellor in 1903). Each room is equipped with bathtub and locally inspired amenities. Ceiling fan and air conditioner keeps your room breezy and temperate. The walls are decorated with Lao textiles and artifacts from days gone by. An intriguing bottle of flavour extracts, discovered during restorations, is on display in the lobby of Lamache House. A few steps away, the ice cream parlour recreates the building's illustrious past as supplier to the Royal Palace in the 1900s. Let our mixologist take you on a journey of cocktails inspired by the locale or choose your favorite classic cocktail. Discover a selection of beer and wine by the glass or select your preferred bottle from both old and new world.